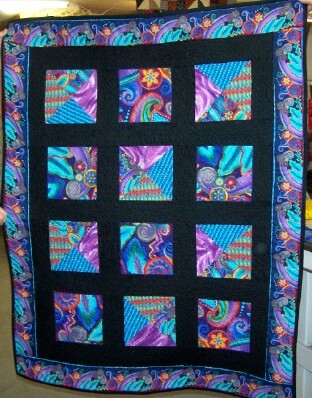 This wonderful Quilt Shop has recently opened in Jay Oklahoma, by the east shore of Grand Lake of the Cherokees. 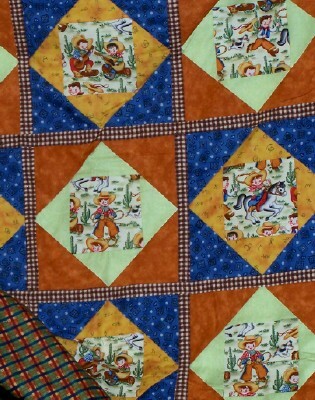 Jay is the county seat of Delaware County, and the shop is just a few blocks north of the charming old town square, on North 4th Street. 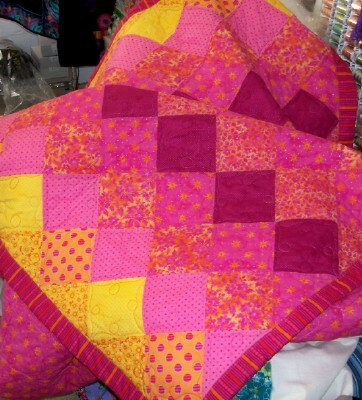 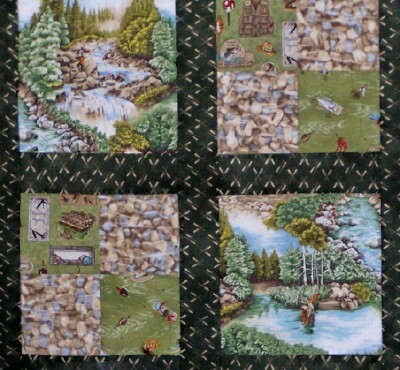 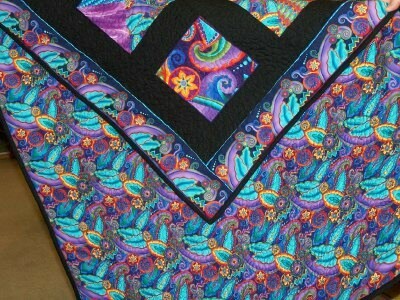 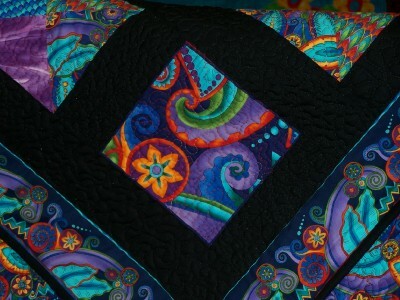 Janet and Kenny offer quilting supplies, lessons, consignment, and even a few of their own gorgeous creations. 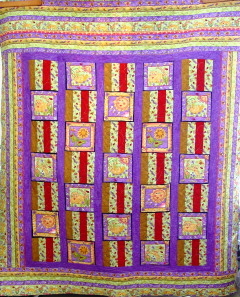 Kenny created an incredibly beautiful quilt in brilliant Fall colors which is for sale through the shop. 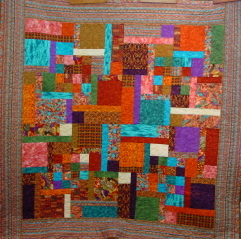 This page is under construction, watch for images and links to the beautiful quilts for sale, and use the link provided to contact them directly. 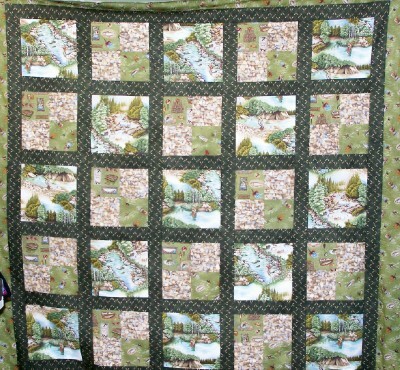 at The First Annual UNDERWATER Craft Show and Sale at the Jay Oklahoma HUCKLEBERRY FESTIVAL. 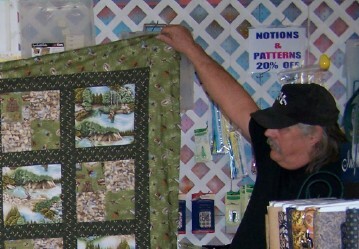 Here's Ken, Holding the Fishing quilt top HE made. 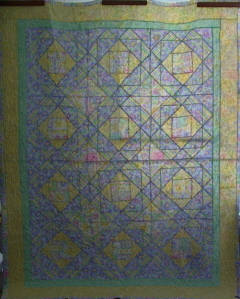 78" X 62". 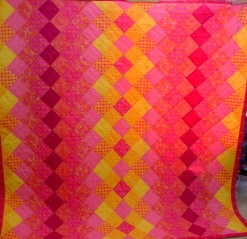 All Cotton, Polyester batting.